The topic of this lab is understanding route manipulation with BGP. The Juniper article with details on the Multipathing in Junos. 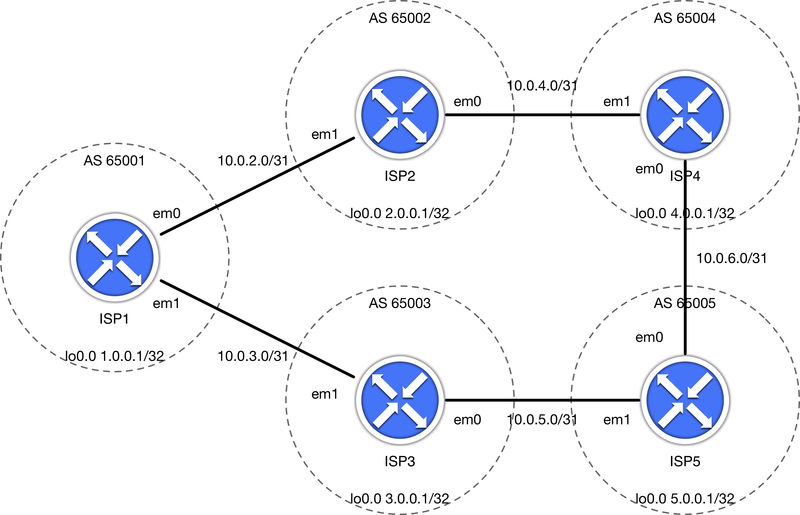 You are a network engineer in ISP1 and you have been given a task to implement a routing policy that would load-balance traffic from your own AS 65001 towards AS65005 (5.0.0.0/24 prefix). You have no control over the path selection on the other ISP routers.